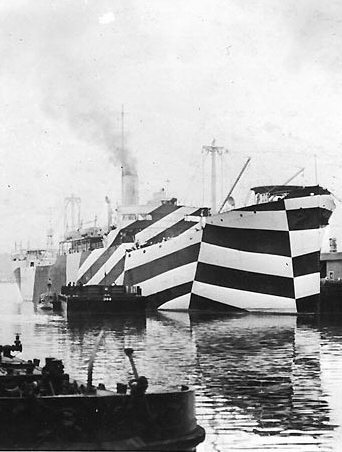 I have recently noticed some artists using the strategies of dazzle camouflage. 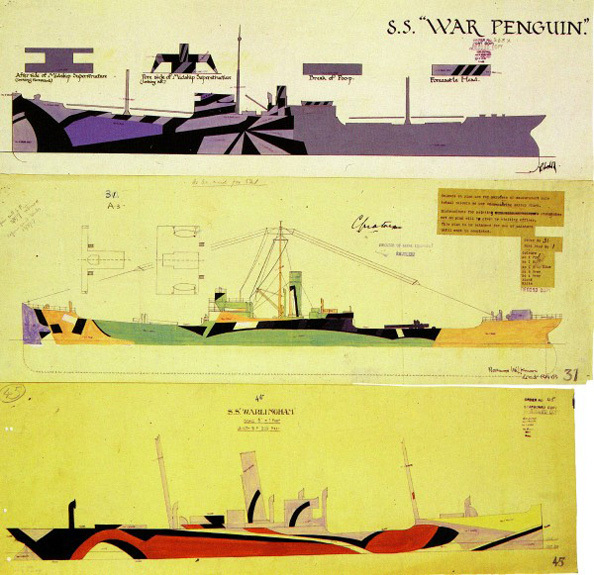 Unlike the “woodland” pattern of muted green, yellow and brown abstract organic blobs and stripes adopted by the US Marines Corps in 1968, dazzle camouflage was an abstract geometric pattern that was applied to battleships primarily in World War I but also surfaced in World War II geometric pattern that was applied to battleships primarily in World War 1. It was impossible to use conventional camouflage on the vast ships, partly because the colour of the sea and sky changed frequently. 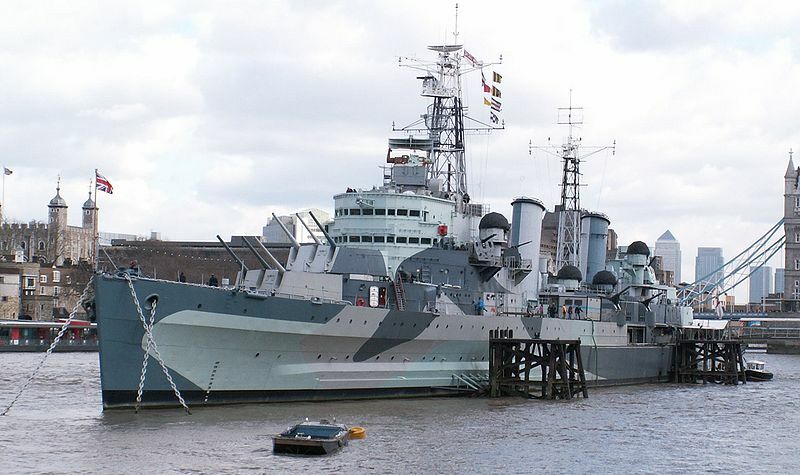 At first glance Dazzle seems an unlikely form of camouflage because it drew attention to the ships rather than hiding them but in fact Dazzle wasn’t invented to hide anything. Its purpose was to confuse rather than conceal. The pattern disrupted the ship’s appearance, making it difficult for enemy submarines to determine its course, size or speed. An enemy would find it difficult to know exactly whether the stern or the bow was in theirview; and it would be equally difficult to estimate whether the observed vessel was moving towards or away from their position. Since torpedoes at that time were slow they were aimed where the ship was going to be rather than were it was at the moment of firing so it was important to know the direction and speed of a ship. In 1916, Norman Wilkinson, a British marine painter and naval commander, invented dazzle camouflage and took inspiration from the Cubist art movement. The camouflage consisted of a complex pattern of geometric shapes in contrasting colours that repeated and intersected each other. After posting this I have found a great post that included images of ships that I had never seen before. One of my favourite artists Tobias Rehberger has created permanent and temporary cafes that use dazzle camouflage strategies to create a space that disturbs the viewer’s perception to such an extent that they loose their sense of orientation, depth of field and perspective.